My friend Mary says it is very energetic yarn. It is definitely springy. 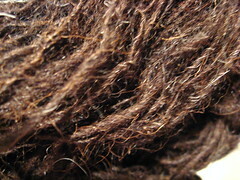 It is an unknown wool origin. I bought it from someone in a destash sale about a year ago. It did loosen up a little when I washed it. 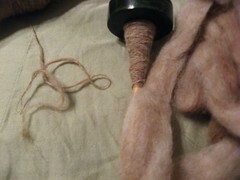 The alpaca is very soft and I love spinning it. Well I did it and here it is! Be Honest what do you think???!!!! It was tons of fun! Next comes wheel spinning! Round and Round I Go In the Wrong Direction. Ok,,,that is just me. 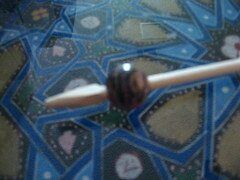 I spin with a spindle backward!!!! Yep I spin that puppy counter clockwise. What Joy What fun!!!! Oh well everyone has told me no worries just remember to ply the opposite and all is right with the world. Well I will show you the spindles I have been working with. 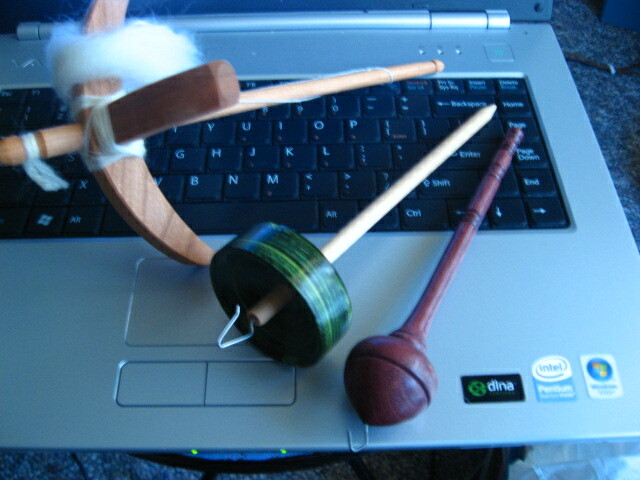 I have been really enjoying the green one and I love the slow whorl of the Turkish. And of course every new craft comes with it’s own toys. 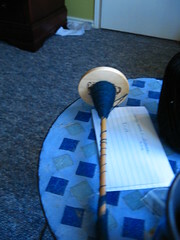 So here is the Wrist Distaff I made, so i don’t have to flick the fiber over my shoulder. 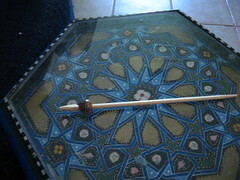 I made my own support spindle too out of a chop stick and a bead. 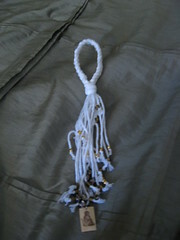 I will post some pics of my actually finished product ie YARN when I get it all plyed. I am loving this. Oh I have to take a picture of my two wheels. Mine the Reeves and the one I am borrowing from a friend. 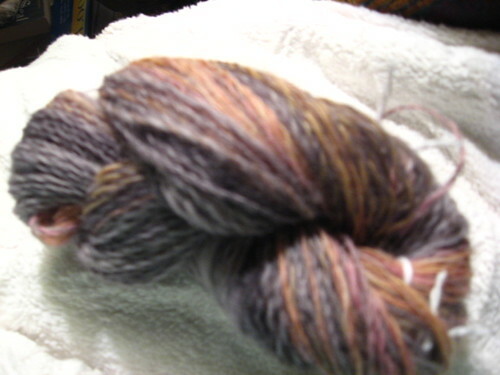 That will be the next post on SPINNING!